Ever wondered how we keep the site up and running, making sure you can shop with ease and find all your favourite products at your finger-tips? 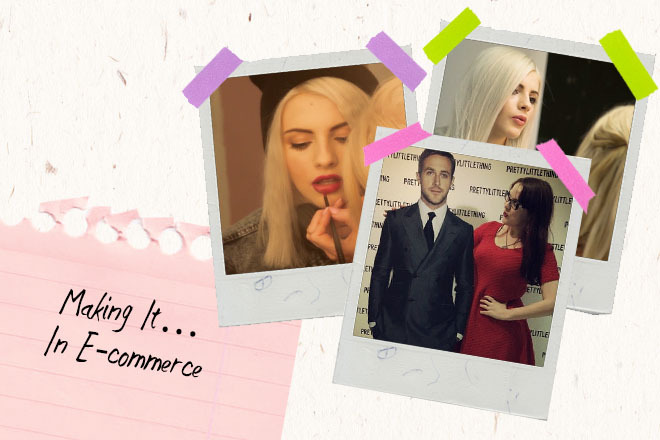 Meet our E-commerce exec Helen, for the insider scoop on how she got to the top. Did you go to uni? Where did you go and what did you study? Nottingham Trent (Proud part of the TRENT ARMY!) I studied a joint honours in Politics and Sociology, as you do. What made you want to work in the E-commerce side of the fashion industry? I love fashion and used to live with fashion students, I was always a little more interested in their work than my own! E-commerce just came naturally to me, it combines everything that I love – shopping, numbers and a little bit of tech. How did you get to PrettyLittleThing? I worked at another fashion company, learnt a lot about the business and worked my way up to get the job here. It’s been such a fun adventure and I feel so lucky to work as a part of this team and in such an exciting business. Although I didn’t do a directly relevant degree for my chosen career, I worked had in and out of the office to get to the same level as everyone else. I start my day by checking sales from the previous days, what’s sold, what trend category is performing, then use that to help plan any on site activity, as well as overseeing the merchandising and uploads. I prepare reports on customer behaviour as well as planning on how to improve the site for them. Preparing feedback for buyers and competitor analysis. Oh and I try on and swoon over the new samples too. What’s been your most�memorable moment so far? Launching our first exclusive collection, we stayed in the office pretty late that night and it was such a buzz watching it take off! What are your top�tips for someone wanting to work in the fashion industry? Never stop learning and if you want it enough, you’ll find a way to get it. What is your ultimate piece of Fresher advice?